DUROwood Flooring offers a wide range of hardwood flooring and staircase recapping services to accommodate your home renovation needs in the Ottawa Valley and surrounding area. 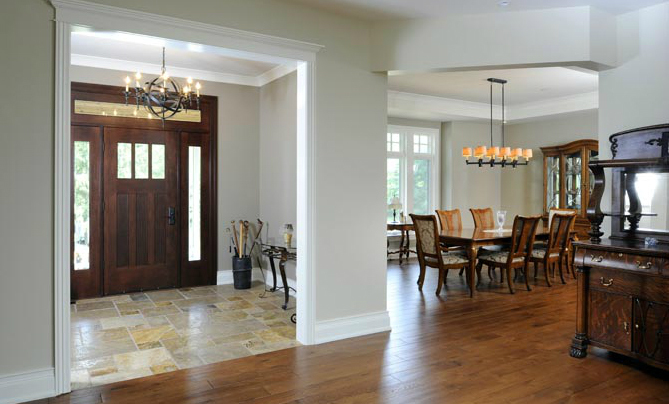 Whether your project includes hardwood flooring installations, sanding and finishing, custom staining, repairs, stair refacing or railing installation, DUROwood Flooring offers customized services that cater to your needs. Regardless of the service, DUROwood Flooring uses the latest hardwood flooring techniques along with the finest quality products. We look forward to working with you and exceeding your expectations! Services are offered in the Ottawa Valley and surrounding area for both residential and commercial projects.